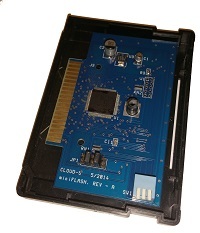 FLASH cartridge for your CoCo! Don't have an EPROM programmer? Or are you tired of burning EPROMs if you do? Then look no further! Cloud-9's miniFLASH gives your CoCo a total of four (4) 16K banks of FLASH for your favorite DOS or ROM Pak. Each bank is both software and hardware selectable. With the provided software, you can easily flash any image into one of the 16K banks. Put your favorite DOS or even a ROM Pak into a bank and instantly load it onto your Color Computer! ensure that you make valid moves while you attempt to solve a puzzle. a puzzle on your own... Compatible with all CoCo and Dragon models. pattern that the CoCo gives you and make it to the next round. How far can you get? Compatible with all CoCo and Dragon models.